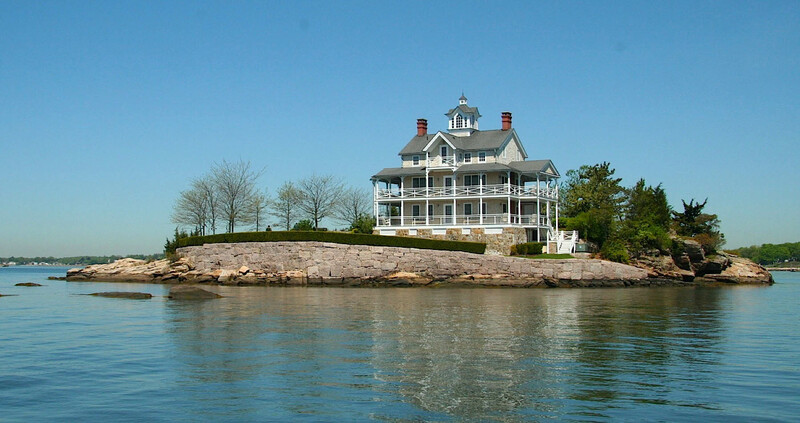 It is very difficult to imagine a more spectacular site for a home. 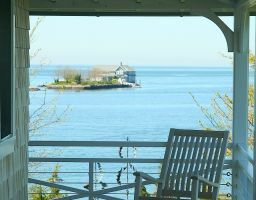 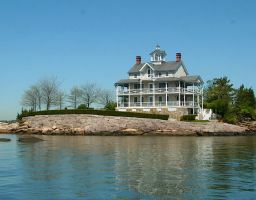 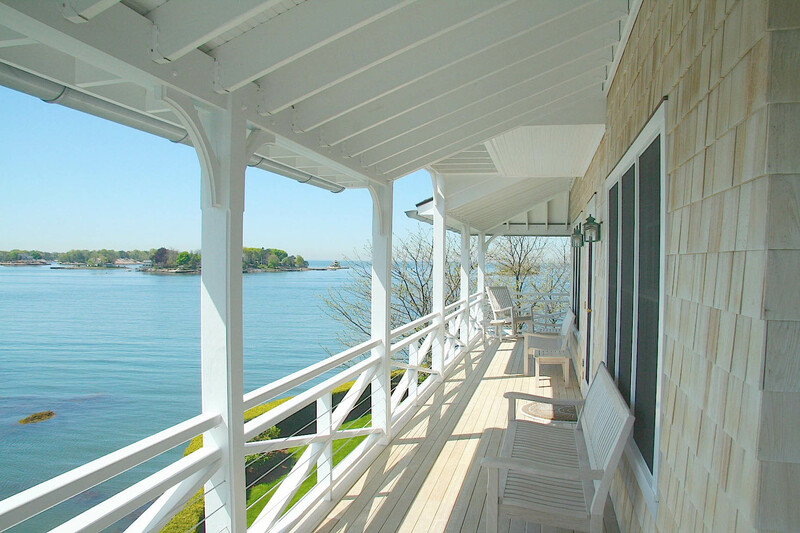 Set on a rocky two-acre private island, this home replaced an original structure devastated by time, neglect, and severe weather. 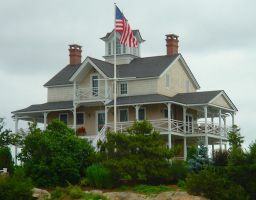 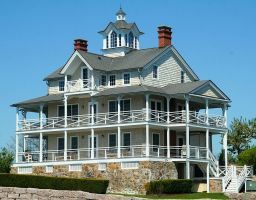 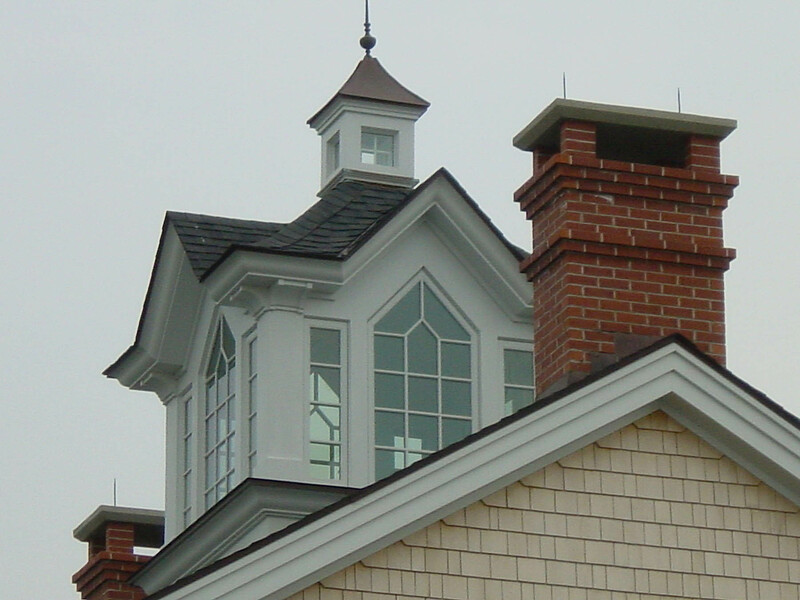 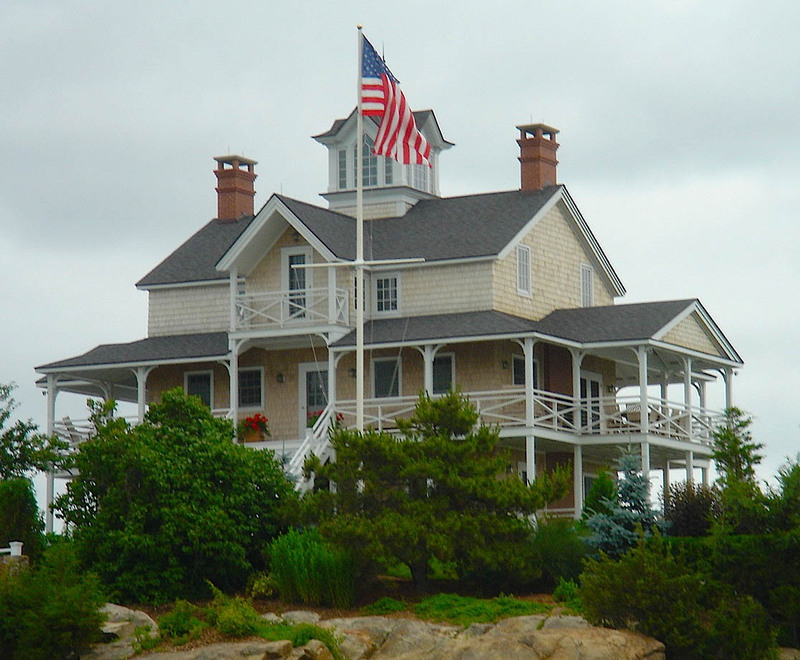 The design is derived from the original, with many improvements in the interior layout and porches, and a new walk-up copper roofed cupola and lantern. 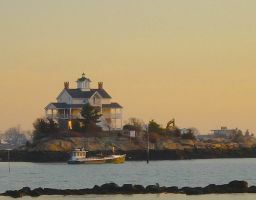 The construction presented formidable logistical challenges, as every piece of material including concrete, soil, and excavating equipment had to be transported by barge. 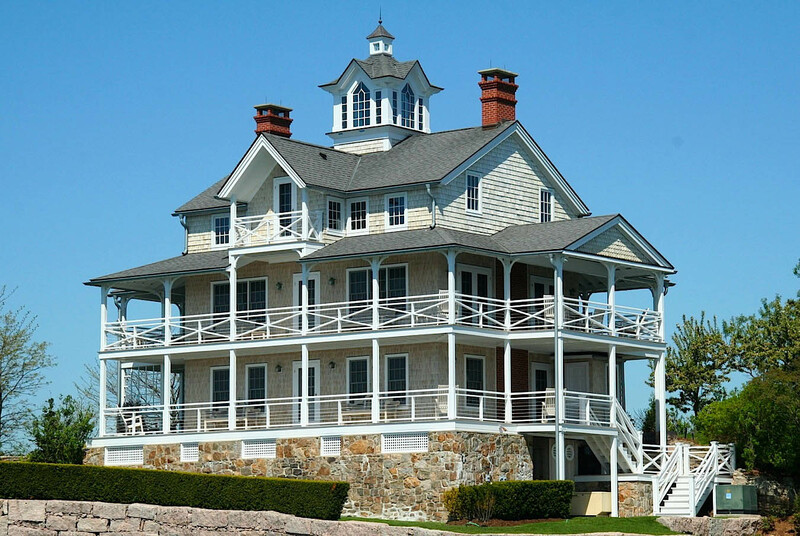 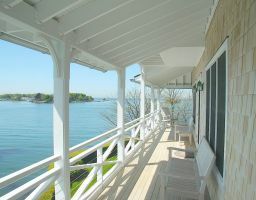 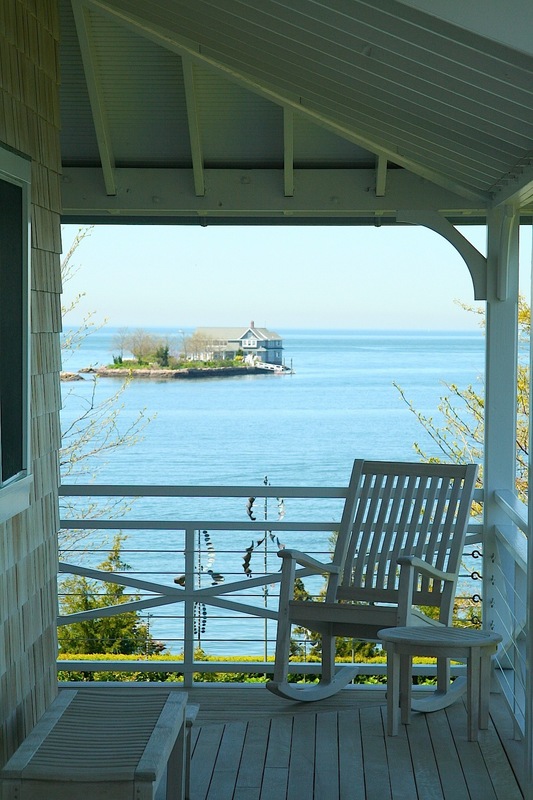 The exterior materials are white cedar shingles on the walls, architectural grade asphalt shingles on the roof, mahogany decks, and painted wood and stainless steel strand railings.